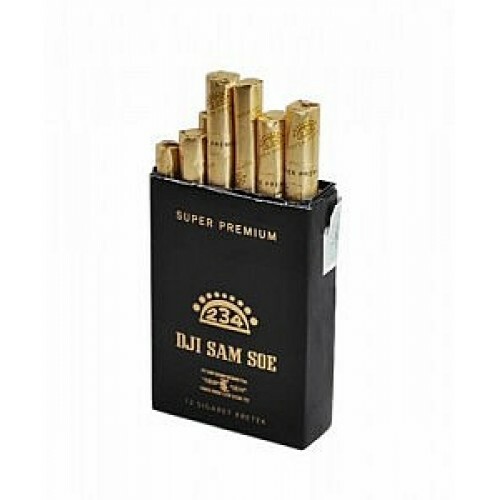 Dji Sam Soe Super Premium is Blended from selected Madura tobacco and America tobacco with high quality clove and special sauces, deliver consistent taste from many generations. With 39 mg Tar 2.3 mg Nicotine. This kretek cigarette is complement for the hard worker. Unfiltered Clove Cigarettes 1 carton contains 10 packs. 1 pack contains 12 cigarettes. Dji Sam Soe Indonesia is the largest tobacco in terms of revenue. Dji Sam Soe Indonesia worthy of the title as the best Long-Life Brand. It can be difficult to explain Dji Sam Soe with modern concept of branding. Traditionally, it has a very strong heritage, but able to grow and continuing to the present.